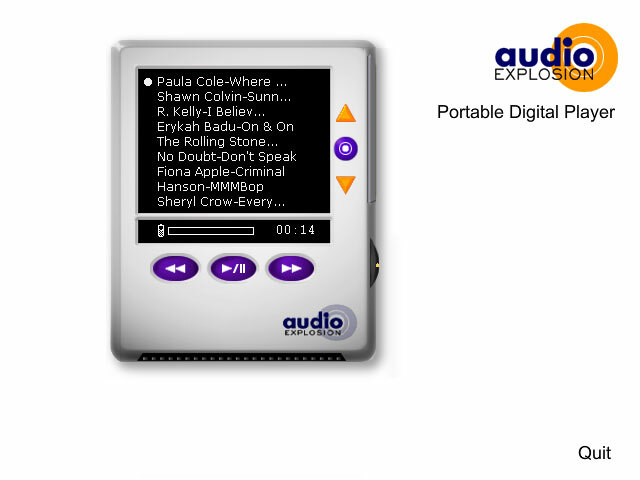 We developed UI prototypes for this MP3 player for startup Audio Explosion in 1998, before any other MP3 players were on the market, and long before the iPod. I designed the interface for the hardware device as well as a software piece to manage the music on the device, and created this prototype for the company to show to investors, partners and potential customers. However, as a startup, the company was not able to compete with the more established device manufacturers (and later, Apple). Looking back at it now, there are surprising similarities to the early iPods.